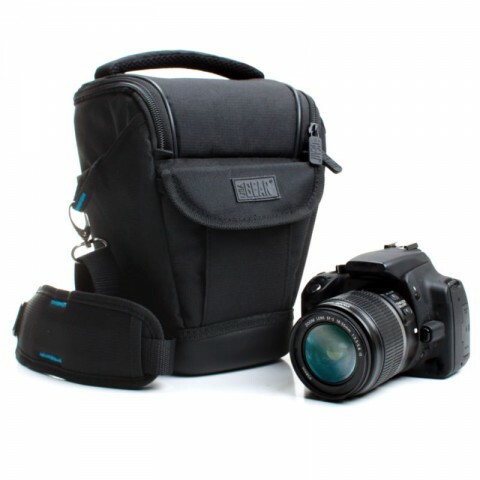 With its ripstop nylon exterior, hard shell waterproof EVA bottom and impact-safe internal suspension system, your DSLR camera is given guaranteed protection. 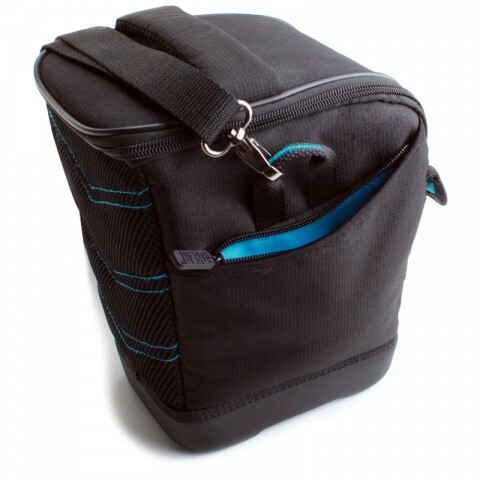 We've created a unique bag solution that's tough, portable and convenient, while still offering a significant amount of storage. 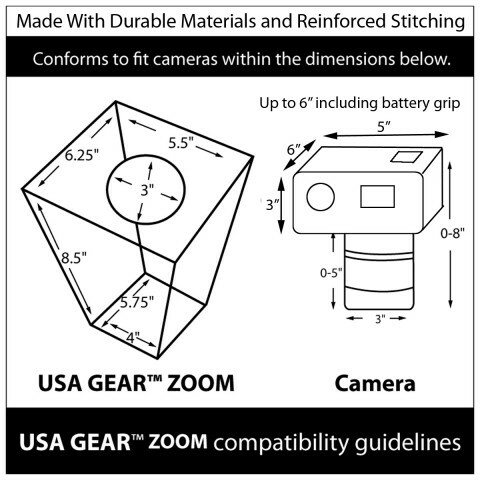 The internal suspension system is designed to accommodate your SLR with attached battery grips and standard zoom lenses (up to 5.0" in length and 3.5" in diameter). 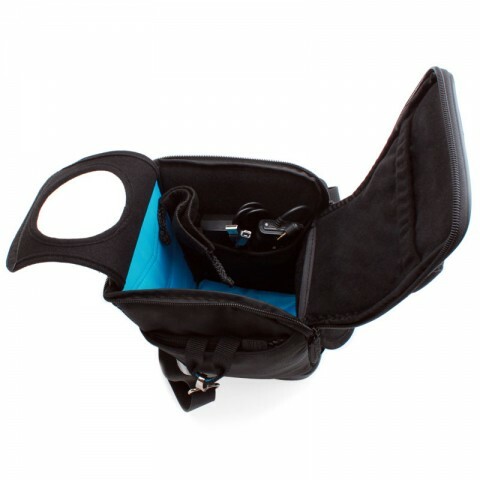 Below the internal suspension system are 2 accessory pockets, as well as one accessory pocket on the inside lid of the case. 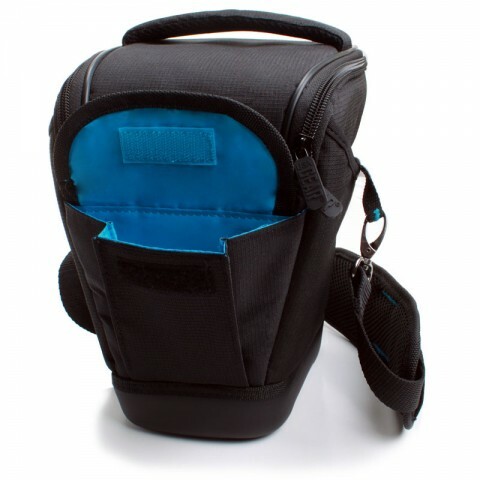 The exterior provides two more spacious zipper side pockets and one easily accessible velcro pocket in the front. 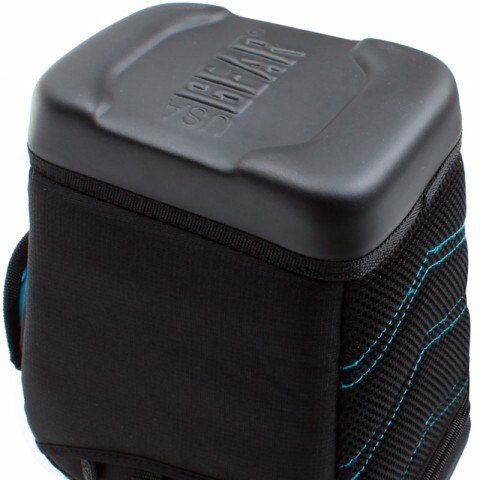 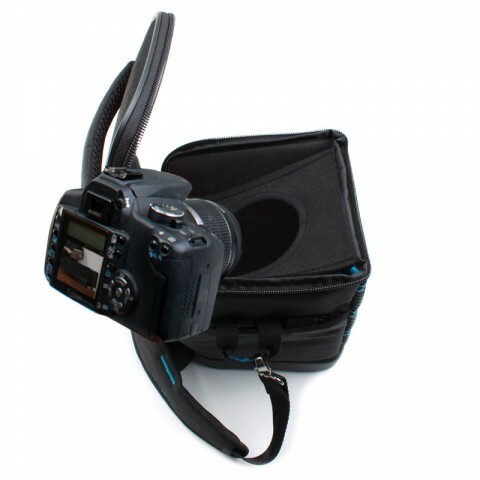 Use the 6 pockets to store extra batteries, lens filters, memory cards, cables, cleaning supplies and more accessories!